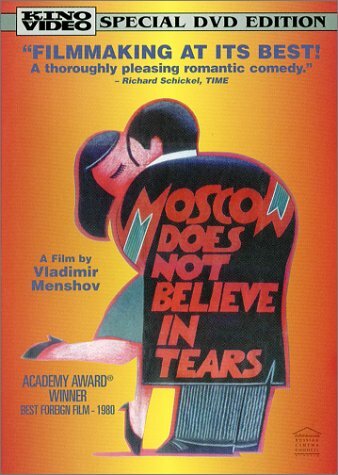 Moscow Does not Believe in Tears, the movie, came out in 1980. According to Bulgakov, when Voland* visited Moscow in the 1930s, Moscow did not believe in God. Well, Moscow’s convictions regarding cultural artifacts are in the affirmative: when asked to return anything, it either ignores the request or gets even. Following decades of efforts to recover books and manuscripts (the Collection) left in Europe before and after the Russian Revolution, in 2004, Chabad, a religious organization incorporated in New York as of 1940, brought legal action against the Russian Federation, the Russian Ministry of Culture and Mass Communication, the Russian State Library, and the Russian State Military Archive in U.S. Court. Initially Defendants in Agudas Chasidei Chabad of United States v. Russian Fed’n challenged jurisdictional grounds of the suit. However, in 2009, when the Court held that it had jurisdiction to review Chabad’s claim under one of the exceptions to the Foreign Sovereign Immunities Act, Defendants filed a Statement with Respect to Further Participation and informed the Court that they “decline[d] to participate further in this litigation” because they “believe[d] this Court has no authority to enter Orders with respect to the property owned by the Russian Federation and in its possession, and the Russian Federation will not consider any such Orders to be binding on it.” Opinions may vary on whether this decision was a dreadful mistake on the part of the Defendants’ counsel, Squire, Sanders & Dempsey, LLP (that incidentally filed a Motion to Withdraw Appearance as Counsel of Record) or whether it was proper as a cost cutting measure and a logical thing in light of the predictable outcome. First, in 2010, Chief United States District Judge Royce C. Lambeth entered a default judgement in favor of Chabad in Agudas Chasidei Chabad of United States v. Russian Fed’n, 729 F. Supp. 2d 141, 145 (D.D.C. 2010) ordering return of the Collection. The Court found that 1) Plaintiff sufficiently established its claim to the Library and Archive that “defendants unlawfully possess and refuse to relinquish;” 2) Defendants “expropriated both the Archive and Library from plaintiff in violation of international law;” 3) Plaintiff demonstrated that “the property at issue is owned or operated by agencies or instrumentalities of a foreign state, namely the Russian Federation;” and 4) Defendants were “engaged in a commercial activity in the United States.” The 2010 decision fell on deaf ears and not a single item from the Chabad Collection was sent from Moscow to New York. Then, on July 26, 2011, the Court granted Chabad’s motion seeking permission to pursue execution of the 2010 judgment. 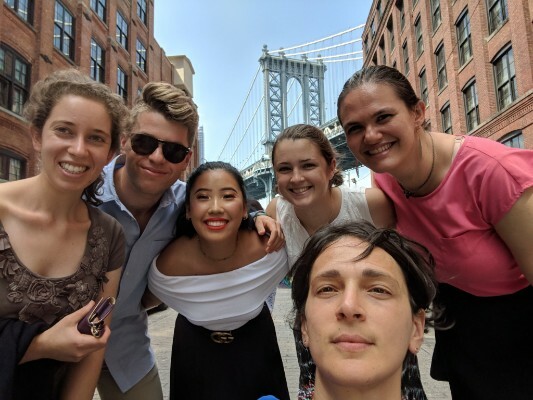 In relevant parts, the conclusion reads “The Court is sympathetic to plaintiff, aware of the long road it has traveled and all-too familiar with the difficult trail that lies ahead in attempting to enforce a FSIA judgment. … … that the ability to attach and execute property not otherwise subject to immunity under FSIA or any other federal statute may aid plaintiff in its pursuit of the return of the lost Library and Archive containing the cultural heritage and history of the Chasidim movement, and that the show cause order may prompt Russia to rethink its decision to retain items of immense historical and religious significance, seized during times of great crisis and in violation of international law, in warehouses rather than return them to their rightful owners.” Agudas Chasidei Chabad of U.S. v. Russian Fed’n, 798 F. Supp. 2d 260, 274 (D.D.C. 2011). Again, Defendants ignored the holding and stopped loaning art works to the American cultural institutions. Now, on January 16, 2013, Judge Lambeth imposed civil contempt sanctions against Defendants in the amount of $50,000/day until they comply with the 2010 and 2011 rulings and return the contested Collection to the Chabad corporation. The 2013 Lambeth decision finds that 1) The US Federal Court has authority to issue Sanctions against a foreign sovereign in the Foreign Sovereign Immunities Act (FSIA) context; 2) Sanctions are appropriate because Defendants have “steadily resisted all legal and diplomatic efforts to compel them to return the collection for at least two decades”; and 3) the size of the award is calibrated to “coerce compliance” and fitting Defendant’s size as one of the worlds’ largest economies. It is worth noting that the United States government did submit a statement to the Court urging it “not to enter sanctions” (U.S. Statement, EDF no. 111) on legal and pragmatic grounds. After all, current United States -Russian relations are complicated enough (see Magnitsky Rule of Law; moratorium on art loans; Obama/Putin relations; Registration of Foreign Agents in Russia; anti-Magnitsky Laws). Notwithstanding the United States government submission, the Court held that it may and ought to enter sanctions against this foreign government and its agencies. As precedent, the Court cited the 2011 decision in FG Hemisphere Associates, LLC v. Democratic Republic of Congo, 394 U.S. App. D.C. 439 (D.C. Cir. 2011) aff’ing 637 F. 3d 373 (D.D.C. 2009), which affirmed lower court’s issuance of sanctions against a foreign state for refusing to comply with discovery orders. There the Court held that the FSIA “did not abrogate a court’s inherent power to impose contempt sanctions on a foreign sovereign.” It is unclear whether the Republic of Congo ever paid the amount assessed against it — $5,000 every week, doubling every four weeks until reaching a maximum of $80,000 per week. What is crystal clear, even to the Court, is the difference between “entering” and “enforcing”sanctions. Enforcing of sanctions, monetary or otherwise is “carefully restricted by the FSIA.” Chabad, 2013 U.S. Dist. LEXIS 6244, 10. So what should we expect from Russia now? With Valentine’s day coming up? I don’t think its LOVE. * Character in Master and Margaret, by Mikhail Bulgakov.